Your vehicle’s air conditioning is a luxury most people would not want to do without. Your air conditioner in your vehicle is controlled by a main computer which sits in the dash and allows you to control the temperature settings. 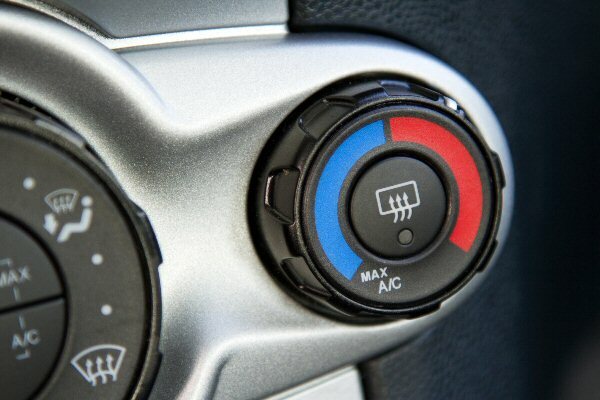 The air conditioner in your vehicle has three functions; cool, heat and defrost the windshield. The AC has a compressor, which is the main mechanical part of the system. Other parts of the system include a condenser and evaporator along with other parts. The most common sign something is wrong is that you are not getting cold air, that’s an easy one. Another sign is weird noises coming from the unit or unpleasant smells coming from your vents. It is normal for water to leak onto the ground from your vehicle, if you don’t see water draining and have water inside your vehicle then that is not good. Another symptom is low pressure in your AC, this could be caused by a leak in the coolant which is very difficult to spot. It is a good idea to bring the vehicle in at the start of the season and have us check the coolant level and perform a visual inspection to look for signs of wear. If you are having an issue we can diagnose exactly what the issue is and have you driving in comfort in no time at all.